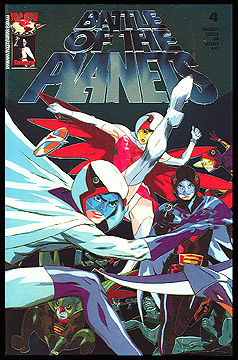 Information: A special reprint of the fourth issue of Top Cow's new Battle of the Planets comic series, featuring a metallic foil card stock cover with an illustration by Roberto Ferrari. Art by Wilson Tortosa, story by Munier Sharrieff. Full color.